Marvel completed its Avengers team by finally showing the remake of the real American hero by the name of Captain America. As we all know, Marvel has been having a hit and miss situation with the recent hit of Thor and the X-Men First Class and the flops like Spiderman 3. Will the real American hero deliver the "final justice"? Find out after the jump. 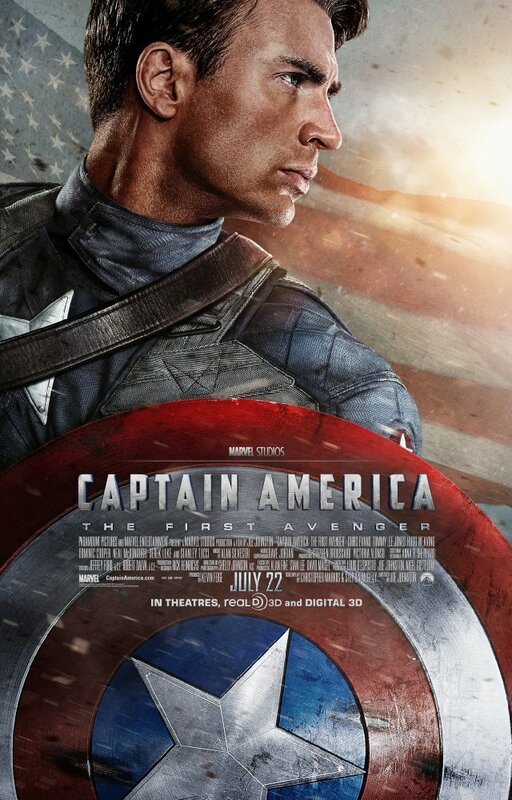 Don't get me wrong here, Captain America is a great film...if you're an American. The plot was taken from the comics but was tailor-fitted for the Hollywood "standards" by concentrating on a love story angle rather than follow Captain America's bond with his best friend Bucky Barnes which was the plot of the comics. Chris Evans played the part of the all American hero pretty well, but what really stands out was the diabolical performance of the antagonist Red Skull (played by Hugo Weaving). Hugo in my opinion out shined Chris Evans in the film and his performance is highly commendable. The visual effects and CGI was top notched as expected always on a Marvel film. The World War II atmosphere was realistically captured but some scenes like the top of the train totally looks fake. The transformation of Chris Evans body into a small physique all thanks to CGI totally wowed the audience and could not thell apart what is real and what is not. Overall, Captain America's target audience were not the die hard sci-fi comic book fans out there who wanted justice for the comic book hero, but the general audience who doesn't mind discrepancies on details but enjoys a popcorn movie with enough love and action to watch with their love ones and friends alike.